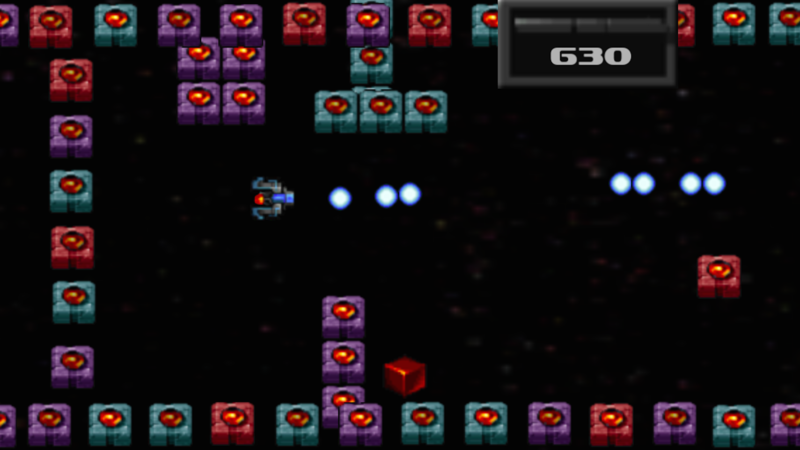 Megacosmo Runner (by Asher Scott) — Welcome to the GameSalad forum! I just re-released my first two free games and would love some feedback. When it first loads, I expected a "start" button and was surprised to just see the high score screen. The controls are tricky because if you're flying and then you tap elsewhere, your ship teleports and you (often) die. The score takes up too much vertical space on the screen. It should be smaller. I don't understand what to do with the green and red boxes that appear. I assume those are power-ups. What does the instruction "Tap screen to power-up" mean? How do you actually capture and use power-ups? A good concept. Lots of potential. Controls need work. This could be a cool game with a little more work. At the risk of being offensive, the game is a bit boring. I'm only being so frank because it's not help to hear "I think it's good!" or "Cool game!" It's better to hear all the negatives and be able to improve the game. I'm not sure if it gets more complex later but I was able to just tap and hold at the center-left of the screen and survive for about 20 seconds. I agree that stationary blocks might be better. More of a jetpack joyride style, I guess. I do like the visual simplicity of it but it needs a few more features.